Buyers, be aware. 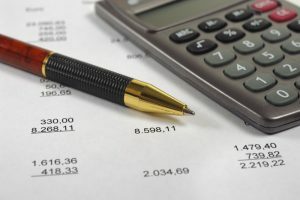 When figuring out how much a prospective home buyer can afford, the list price and the mortgage payment options are often what’s calculated without consideration for other related monthly expenses. First-time homeowners can get blindsided by all of these extra costs. To put this into perspective, the average U.S. homeowner spends $9,080 a year for home and property expenses. According to Zillow, the average Boston homeowner racks up $14,377 in unplanned maintenance and homeownership fees. On average, unpreventable costs add up to over $6,000 a year for the average American. These costs usually include insurance, property taxes, and utilities. In Massachusetts, the average price for home insurance is roughly $1,400 a year, around $115 per month. This number is determined by the location of the home, the amount of coverage, the rate of neighborhood crime, the condition of the home, and other factors based on the homeowner’s particular profile and their coverage selections. Depending on the tax rate of the town or city in which the home is located, property taxes can average at around $3,800 a year. These are paid out of the escrow account set up with the mortgage company typically, so it’s added into the monthly cost of the mortgage payment. The average of $3,800 per year equivalates to a monthly fee of around $317. Utilities are what keep the home running. They include oil or gas for hot water and heat, air conditioning, electricity, cable, internet, and phone. Depending on lifestyle, the all-in monthly payment can run a homeowner up to $400 or more on average throughout the year. Another item that homeowners need to consider when planning out their monthly expenses is commuting. Gas, tolls, wear and tear on cars, vehicle maintenance, etc. are all fees associated with commuting, so this is where location is a big factor for many. Maintenance expenses will all depend on the size of your home, size of your yard, and condition of the home. Nearly 96% of homeowners have made some type of home improvement to their home from new carpets, landscaping, boosting curb appeal, to a remodel of the kitchen or a new roof. When being a lifetime homeowner, things are bound to break down and repairs will be needed throughout the house. Maintenance expenses are unpreventable- so having a thorough home inspection prior to purchasing the home will give any new buyer an idea of what will be involved in the process to bring the home up to their standards. Many new homeowners will need to fill rooms in their house with furniture and accessories that they don’t currently own. From the backyard to the living room, these can be an expensive hit to your budget. The first year or two of owning a larger home will require money spent, as well as time, on furnishing rooms to make that new house a home. You’re never done fixing and improving a home- it’s always going to require attention to detail to maintain its function and appeal. If you have any questions about the costs of homeownership, contact us today!